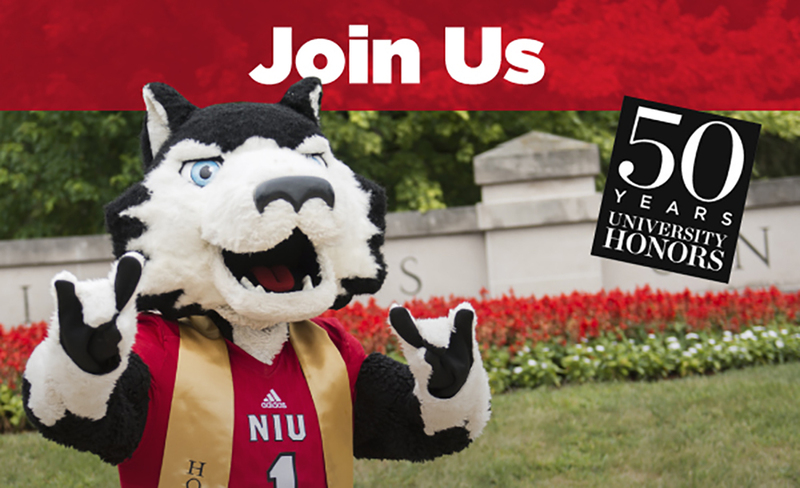 Please join us for the University Honors Program 50th Anniversary Celebration. We will be celebrating on Friday, May 10, at the Morton Arboretum from 6 - 8 p.m. The cost is $10. A variety of appetizers will be served, along with beer, wine and non-alcoholic beverages. Please purchase your tickets ahead of time, as there will be no tickets available at the door. All NIU friends and alumni are welcome to attend! All ticket purchases are final (no refunds). We hope you will join us for a brief program, networking and socializing with current Honors Program staff and other alumni. We look forward to meeting and talking with you.